Planning ahead saves hours of low-quality drinking time. I’d sooner walk past 10, 15 or even 30 establishments to find the right rub-a-dub dub that will suit my needs and wants. Thankfully my estranged chum was aware of my drinking preferences and took me to the place featured here. It’s relocated since those days, not far from the Village, and the beer range on offer remains impressive (another pub is now at the previous address). 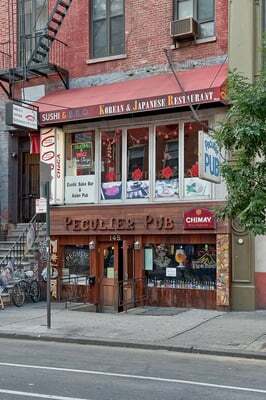 Yes – Peculier Pub does include “Pub” in its title – I’m aware of that – but a little local knowledge helps as well.